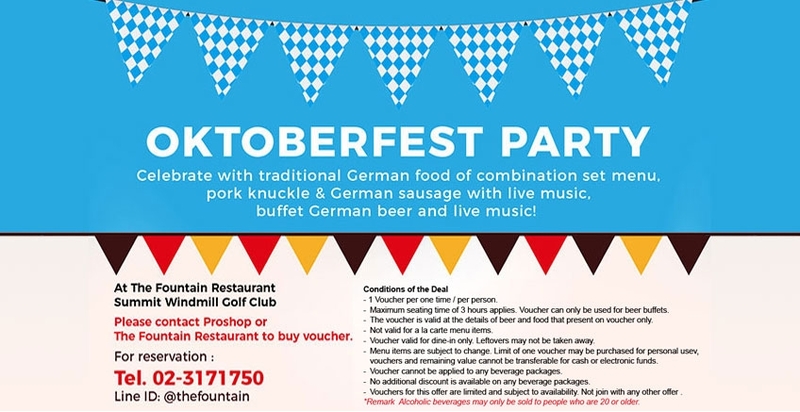 Celebrate with traditional German food of combination set menu, pork knuckle and German sausage with live music, buffet German beer and live music! 3 Hours free flow Paulaner and Stella Artois Beer. 3 Hours free flow Stella Artois Beer. - 1 Voucher per one time / per person. - Maximum seating time of 3 hours applies. Voucher can only be used for beer buffets. - The voucher is valid at the details of beer and food that present on voucher only. - Not valid for a la carte menu items. - Voucher valid for dine-in only, Leftovers may not be taken away. - Menu items are subject to change. Limit of one voucher may be purchased for personal use, vouchers and remaining value cannot be transferable for cash or electronic funds. - Voucher cannot be applied to any beverage packages. - No additional discount is available on any beverage packages. - Vouchers for this offer are limited and subject to availability. Not join with any other offer. *Remark Alcoholic beverages may only be sold to people who are 20 or older. Please contact Proshop or The Fountain Restaurant to buy voucher.